Ji Technology Co.,LDd. 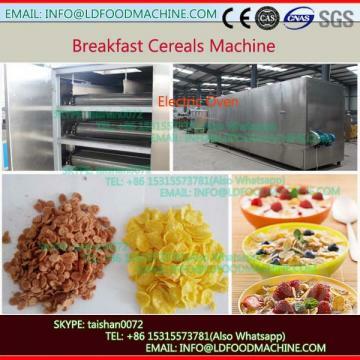 offers breakfast cereal corn flakes processing line can be combined or separated; The breakfast cereal line and corn flakes line share the powder mixer part and the extrusion machinery. It is our new desity which integrates the European Technology and utility. Take corn powder/grits, wheat flour, oat, buckwheat as raw material, mixed with vitamin and other mineral substance, can also add little cocoa, sugar, meanwhile supply water evenly. Then going through the extruder for cook curing, pelleting ,pressing, toasting, coating etc, customer can get take breakfast cereals and crisp corn flakes. It can be used to produce corn flakes,ring and star shape breakfast cereal,and other shapes of breakfast cereal. 1.Solved the problems of material sticLD on the roller, low Capacity and quality of corn flakes, poor taste and so on. 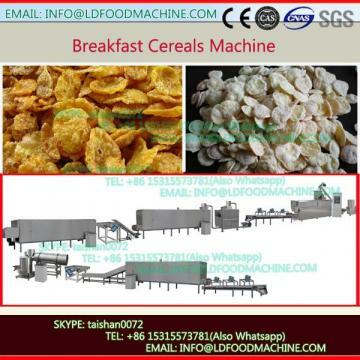 3.It can produce corn flakes or all kinds of breakfast cereals, just need to change little bit LDout configuration. 4.Complete production line reasonable desity and control system to make sure high quality corn flakes and breakfast cereal.